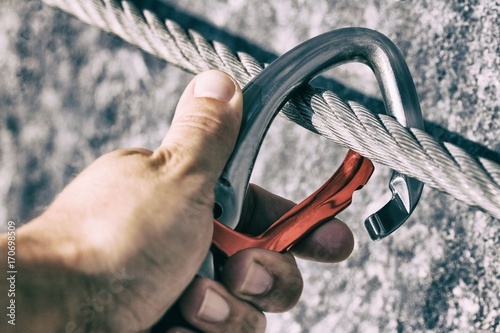 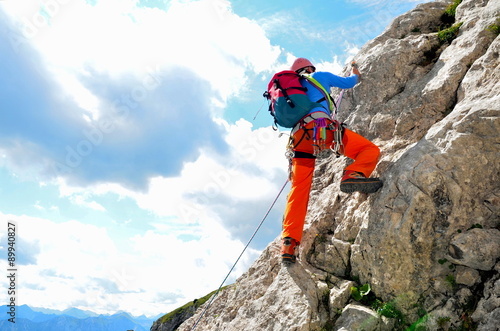 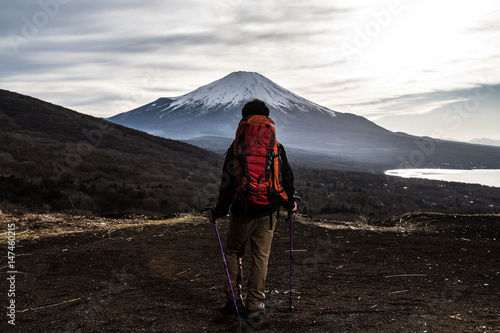 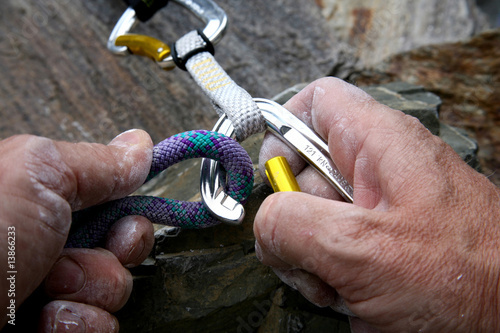 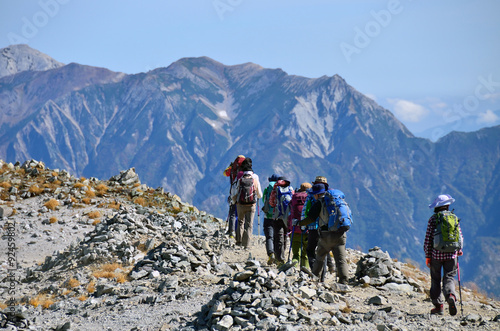 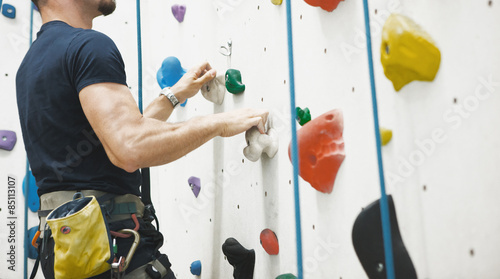 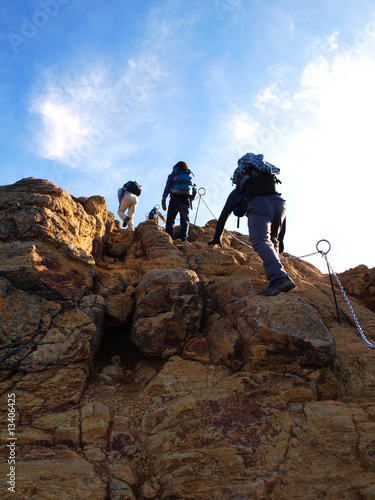 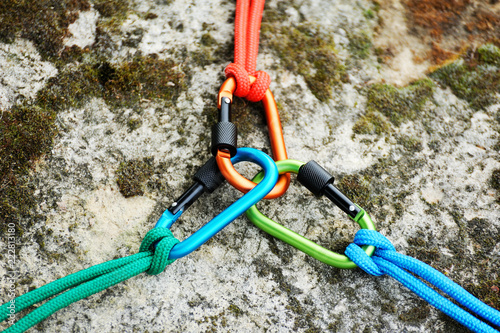 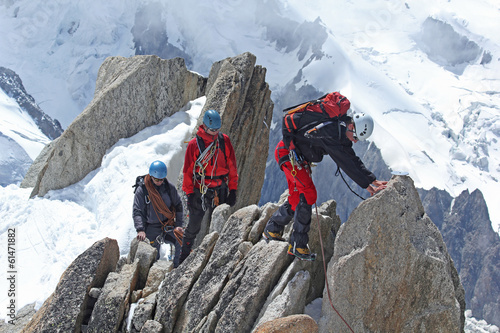 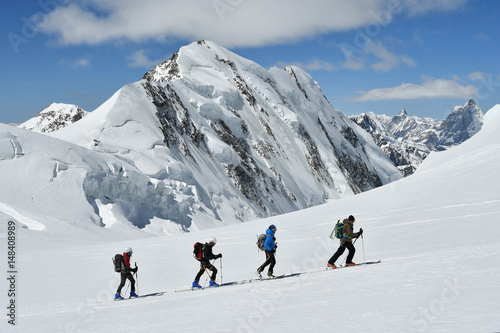 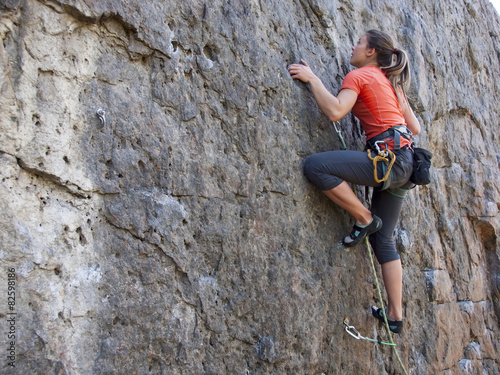 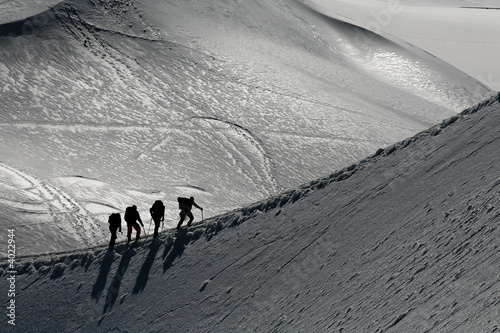 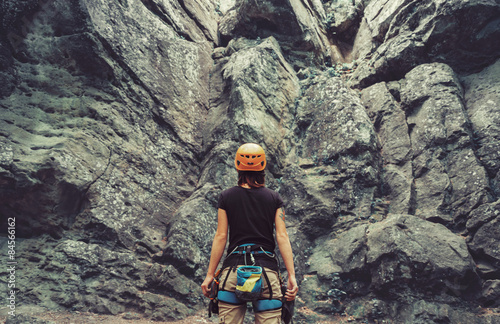 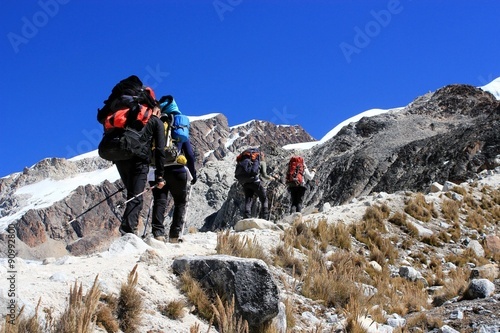 Enterprise, diligence, team work: mountaneering concepts. 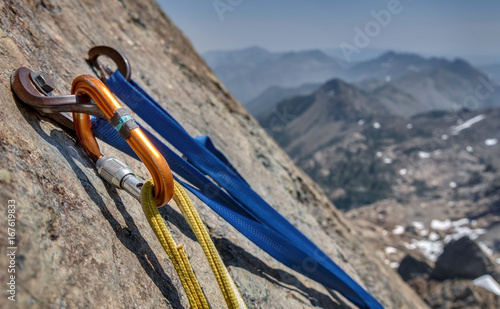 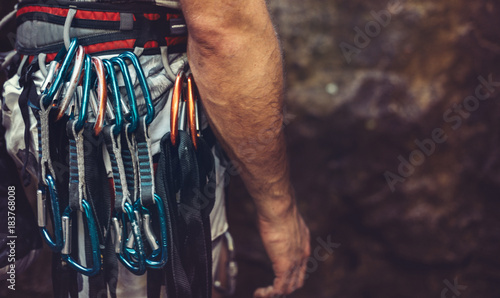 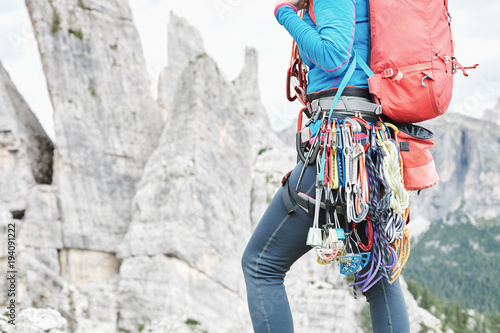 Bergsteiger klettert die Nordwand des Fuscherkarkopf, Österreich. 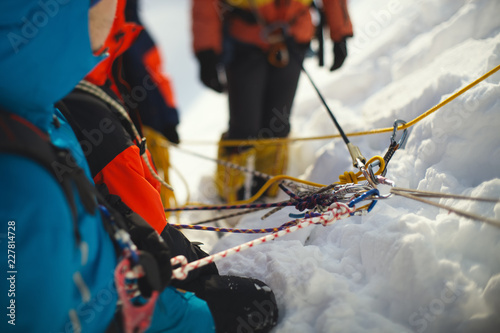 Kletterer schlägt mit den Steigeisen Stufen ins Eis. 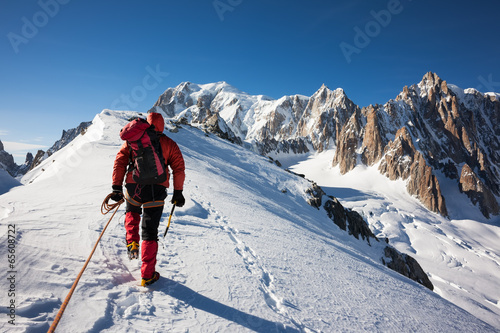 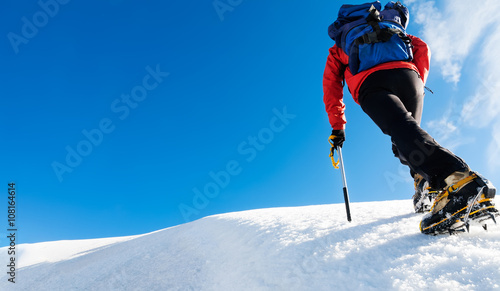 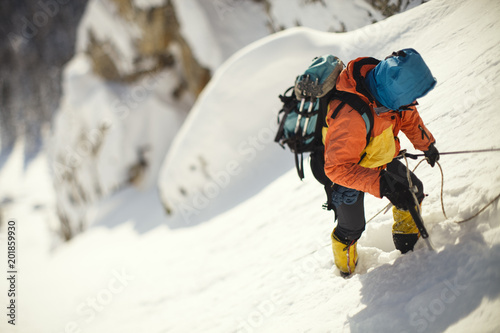 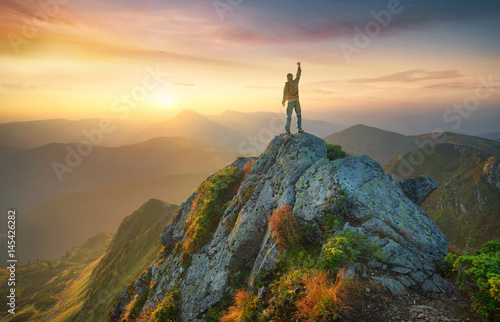 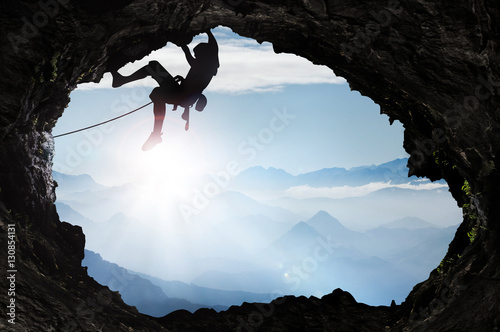 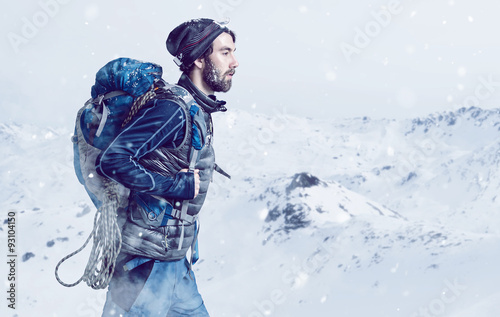 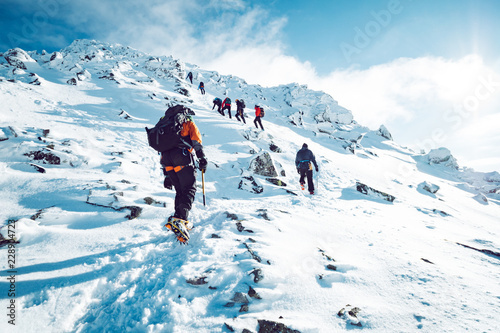 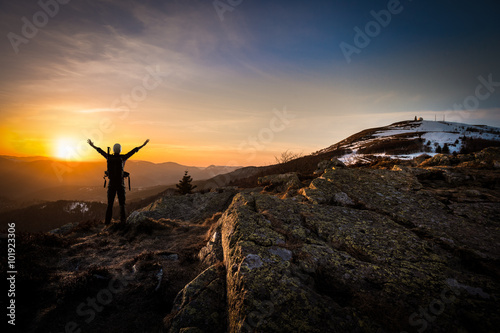 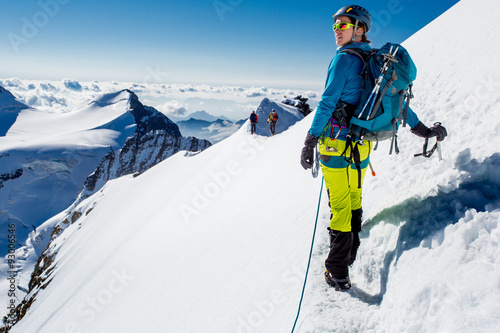 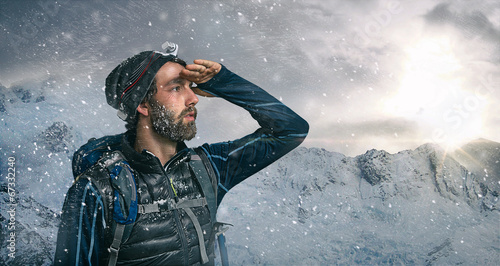 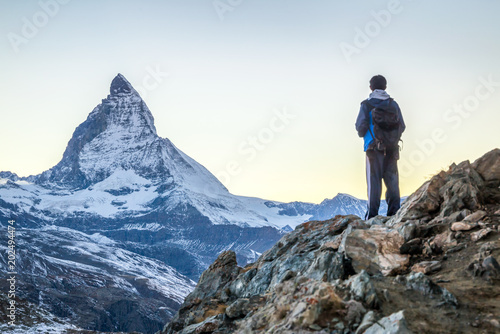 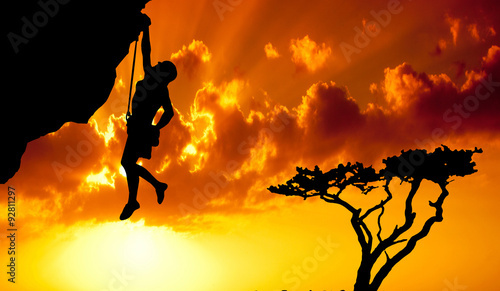 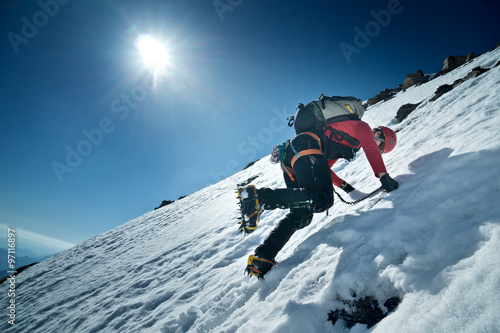 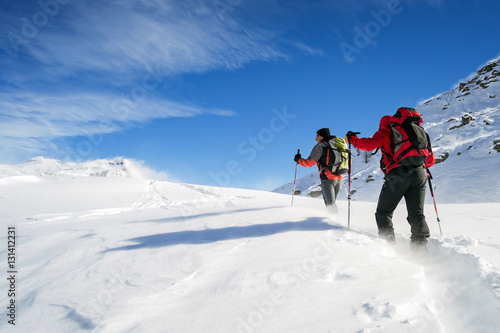 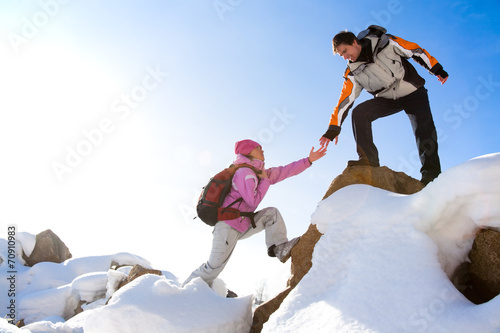 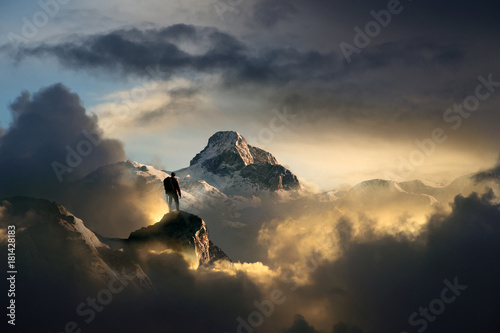 A climber reaches the top of a snowy mountain. 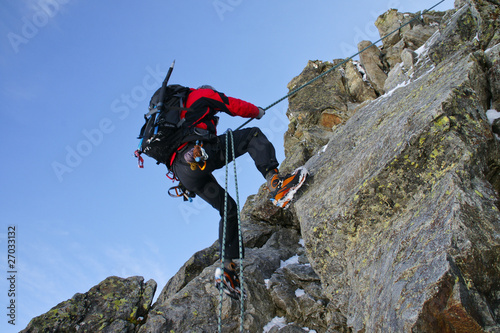 Concept: courage, success, perseverance, effort, self-realization. 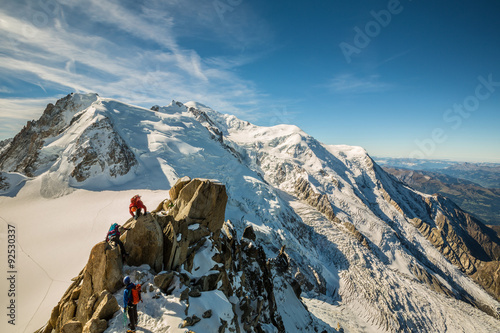 Mont Blanc, Chamonix, France. 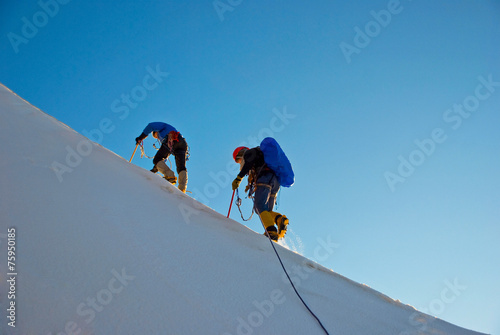 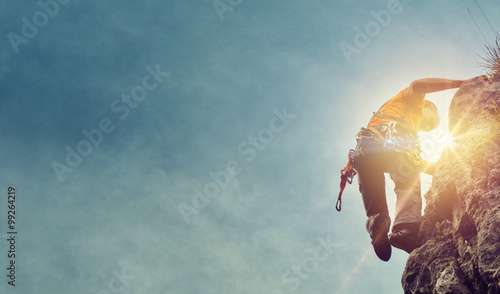 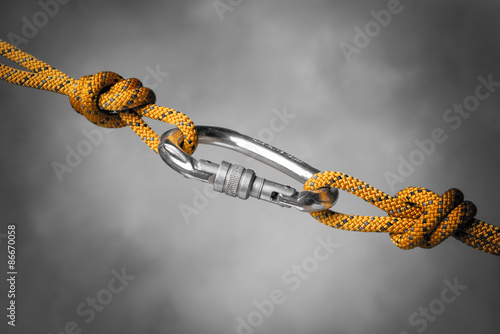 Fall protection mount climbers on the mountain slope, close-up. 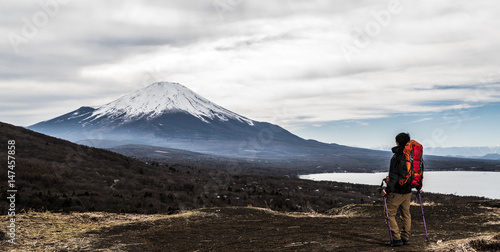 Tilt-shift effect.